​ These 8 trainers are passionate about canine fitness and are actively seeking continued education and training methods. Always training with the dog's best interests in mind, they can guide you toward the skills needed to train independent movement and inspire your dog to activate the intended muscles groups. This team is by invitation only. There are two spots open in 2020 to an experienced K9Fitness Trainer who understands my philosophy. ​2019 training is Aug 16-18, 2019 in Portland, OR. The experience of this group is a huge asset to the learning environment and the ability to work with dogs of all breeds and abilities. 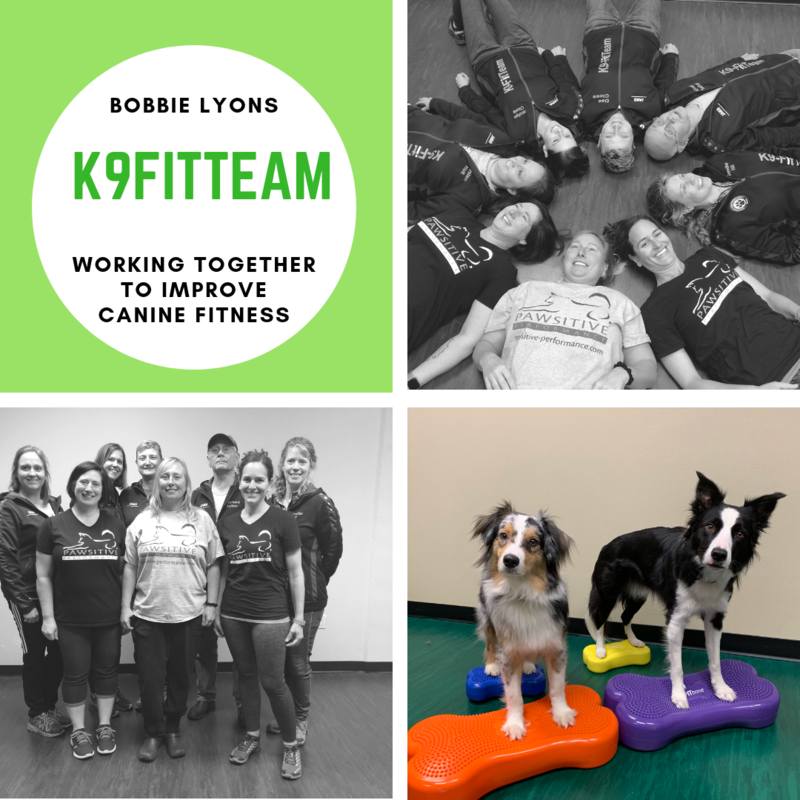 The members of my team are all dog trainers and personally involved in agility, flyball, dock diving, nose work and schutzhund and we have a certified canine rehabilitation practitioner, human and canine PT, massage therapists, and of course, they are all very passionate about K9Fitness. Education backgrounds are in small animal training, animal sciences, animal physiology (equine emphasis), veterinary medicine, canine rehabilitation, physical therapy, canine massage and canine fitness.